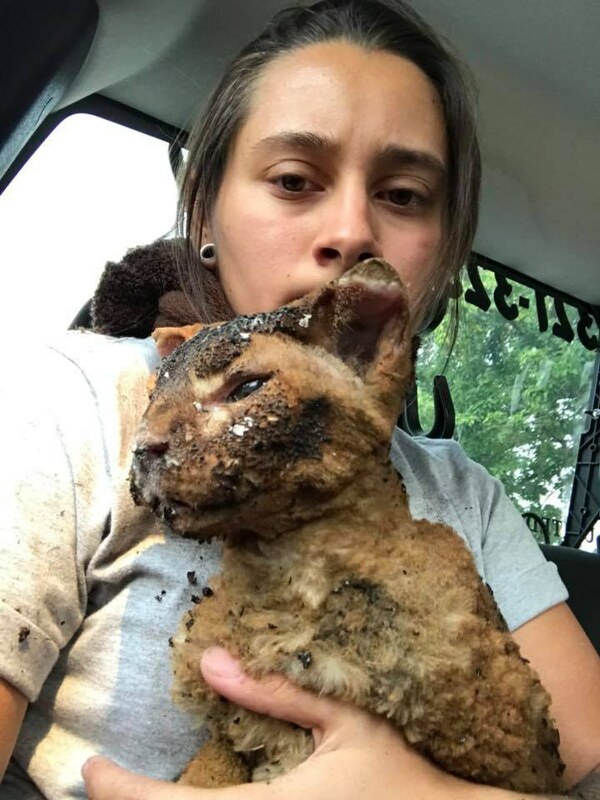 After the devastating wildfires that swept across Northern California, so many things got misplaced and two women that decided to go in search of their missing cat and that is when they came across some two cats and they definitely had to save them. 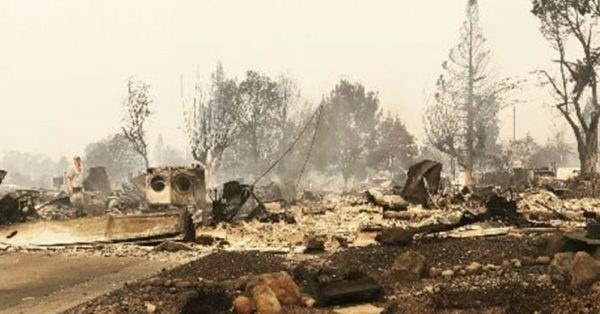 After the raging fires completely destroyed Brandi Ann’s home, she and her girlfriend Steph Gediman were determined to go fin d their missing cat Apu. Steph told the love meow that they went back to the neighborhood to look for their missing cat. When they got out of the car that is when they heard a faint of a meow that was crying not for comfort but for help. When she turned around, she saw an orange cat walking out of the home that was still filled with smoke. The cat had ashes all over its body that even its face was unrecognizable. She knew she just had to help the poor kitty because its ears had burnt and the coat was singed. That is when she immediately decided to pick up the cat and completely covered the kitty with her body. They took the kitty to the animal care center to receive medical care. So they went back to the neighborhood the next day to continue the search of Apu and they met a family that was looking for their cat too. Turned out it was the very cat that they had saved! The family was very grateful and went to the care center to re-unite with their cat.